1. Oak Ridge was built under a cloak of secrecy. As part of the Manhattan Project, the U.S. government secretly built Oak Ridge with the hope of developing technology that would end World War II. It was the first and largest of the three Manhattan Project sites built to produce the world’s first atomic weapons. Known as the “Secret City,” Oak Ridge was built in 1942, and its population skyrocketed to 75,000 in just 2.5 years, making it the fifth-largest city in Tennessee at the time. Visitors can stop by the Manhattan Project National Historical Park in Oak Ridge to learn more about the people, events, science and engineering behind the Manhattan Project. The historical park preserves the equipment, artifacts, stories and more related to the top-secret project. 2. It’s home to the Chapel on the Hill. Chapel on the Hill is a beautiful wooden chapel in Oak Ridge that served as Tennessee’s primary church during the Manhattan Project. It was completed in October of 1943 and was originally a multi-denomination chapel shared by Catholic, Protestant and Jewish congregations. Today, non-denominational services are held in the chapel, and visitors are welcome. 3. John Hendrix had visions about the city in 1900. John Hendrix was an ordinary farmer when he started having visions about the future of Bear Creek Valley, which later became Oak Ridge. According to local legend, he slept in the woods for 40 days and nights before visioning “big engines will dig big ditches, and thousands of people will be running to and fro. They will be building things, and there will be great noise and confusion, and the earth will shake.” Today, visitors can embark on the John Hendrix Memorial Prayer Walk, a half-mile historic nature trail which tells the story of John Hendrix. 4. Jackson Square was the city’s original town site. Jackson Square is at the center of the historic district in Oak Ridge and once served as the city’s original town site. 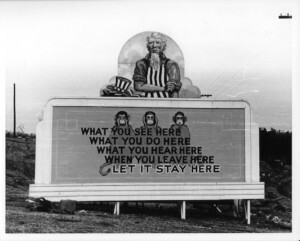 During World War II, the area was open 24/7. Now, Jackson Square has a variety of shops, delicious restaurants, beautiful gardens and historic displays. 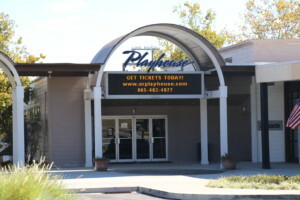 It’s also been home to the Oak Ridge Playhouse, one of the South’s premier theaters, for about 75 years. Just a short walk from Jackson Square is the Alexander Inn, originally known as The Guest House, which was built during the Manhattan Project to house official visitors and was later used as a hotel. 5. There’s a Secret City Commemorative Walk that honors men and women who moved to Oak Ridge. The Secret City Commemorative Walk located in Bissell Park was created to honor the thousands of men and women who moved to the city that wasn’t even found on maps to help end World War II. The memorial’s walkway has 10 bronze plaques that explain the story of Oak Ridge and its role in the war. There is also a series of eight bronze markers that talk about what life was like for the people who lived in Oak Ridge while it was closed to the public. At the end of the walk, there are four 30-foot long Founder Walls that display the 1,488 original founders who worked in Oak Ridge during 1942 to 1949. Visit Oak Ridge to see its beauty firsthand and experience the historic sites in the city. Learn more about the history of Oak Ridge TN and start planning your trip today!